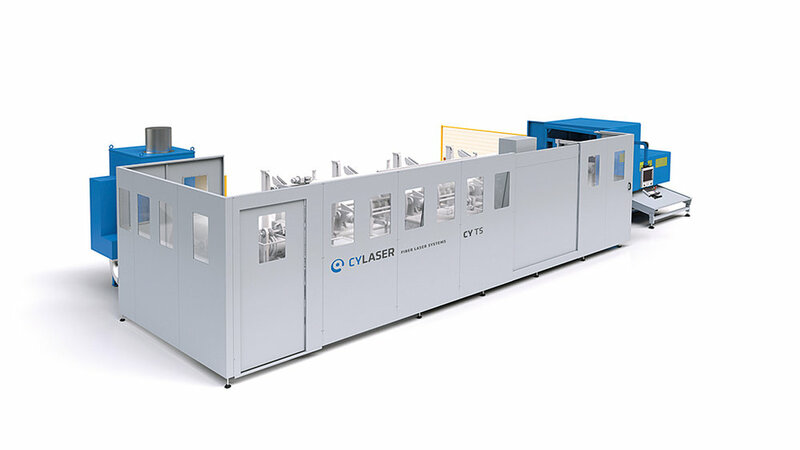 CYLASER has been pioneering the application of solid-state fiber optic laser technology for industrial cutting applications since 2004. Today, hundreds of installations later, our original vision of a robust, precise, efficient, and highly productive laser cutting system is meeting the test of real-world production around the world. System designed specifically to tap into the potential of fiber laser. ∙ A unique construction concept, use of OTS components without forced customer loyalty. ∙ Airplane structure, which is stable over time and more precise even with large formats. ∙ Compact and easy-to-transport design that ensures fast installation. ∙ Proprietary laser cutting head, which is the result of experience with the process. ∙ Compatible with the main CAD-CAM software packages on the market. ∙ Over 10 available configurations, to meet the production needs of any customer. > Compact fiber laser system, technologically advanced, cost-effective. > The perfect application for those who need to produce heat exchanger plates according to customer specifications. CYLASERcan supply automation solutions to enhance the productivity of your solid state laser cutting systems. Everything from basic auto load/unload to complete FMS systems can be integrated with standard CYLASERmachines to help you reap the full benefits of efficient, reliable, low-cost solid-state fiber laser technology on your shop floor, and on your bottom line.